I’ve been pretty disappointed by almost every Bafang ebike display I’ve ever used. My number 1 complaint is that most ebike displays are way to big, and make your bike look too much like an ebike with any casual glance. With a backpack battery and a little discretion, I’ve found that most people don’t even notice that I’m riding an ebike on the trails, even if I stop on the trail and let them pass. If you don’t bring attention to yourself by looking down at your bike and if you weren’t riding insanely fast without pedaling, most people will just assume you’re on a normal bike. 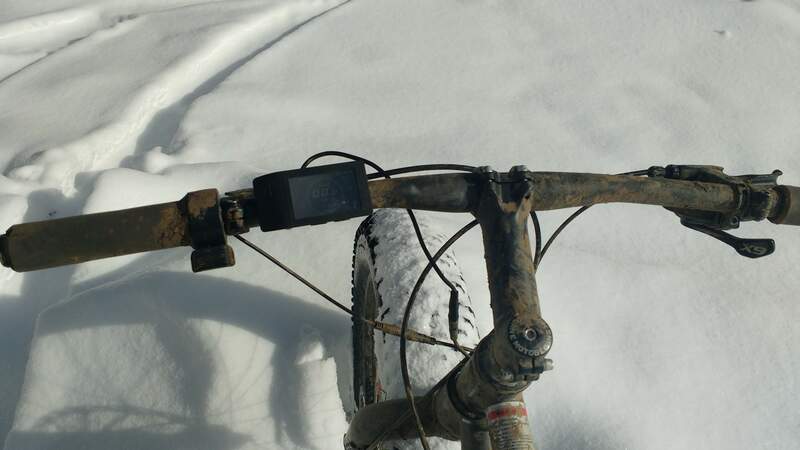 Nothing screams ‘EBIKE’ like having a large display on the handlebars with lots of wires coming out of it. The updated 500c Bafang display (aka the Luna Mighty Mini display) available here for $69 is a display that is worth buying on its own and upgrading whatever display you are running. Lunacycle had this display developed to fit bikes like the Luna Banana which didn’t have a display that worked very well for it, and Bafang is now reselling it to their other dealers. I have about 12 Bafang displays right now, many of them are pretty beat up with broken brackets and screens and so I bit the bullet and just ordered one to test with. I really liked it, both because of the color display, the wattage graph on the left side that fills up with bars showing you at a glance how much juice you’re chugging (in watts) as well as native support for 52v nominal battery packs. Before the 500c display came out, if you wanted to have a discrete Bafang ebike your best bet was to dump the display entirely. Instructions on doing this can be found on the Powered Ride website article here. 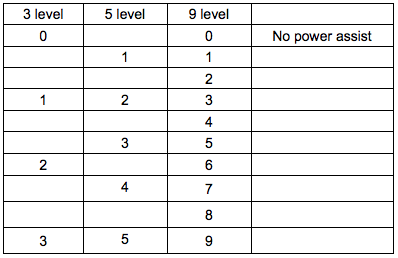 The biggest disadvantage of doing this is that you lose your ability to switch PAS levels or disable PAS by selecting level 0 (it stays at your last setting). If you don’t care about PAS or only use one PAS level ever and aren’t afraid to cut and solder cables and plug them into your expensive ebike motor then it’s a distinct possibility (I’ve never tried it). For the rest of us, there is the 500c display. I haven’t bought a BBSxx drive unit in a while (I currently have 4 BBSHD’s, 8 BBS02s and 1 Ultra Max) but if I buy another BBS02, BBSHD or Ultra Max you better bet your favorite weasel that I’m going to order it with the 500c display. Small and light for discrete weight weenies like me, it is now my newest favorite display. How about a heat sensor display for bafang? Yup that would be awesome. If anyone can make that happen it would be Lunacycle. Bafang ignores everyone and everything else, including me (and I’m their biggest fan). Thanks Karl. Been following you for over year. Follow me on recumbents dot com. Iam carolina there. I build carbon velomobiel bodies. Iam in the velomobiels section. Have 1 customer with bafang on the yellow velo. My web pages getting rebuilt by Godaddy. Will the 500C be compatible with the Ultra Max? I thought that was only compatible with the DPC-18. 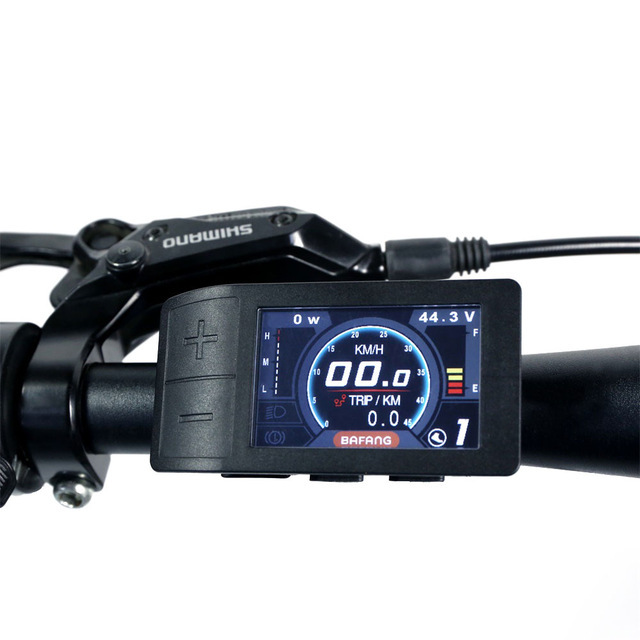 I love my 750C displays, on my BBS02 and BBSHD equipped bikes, so I wouldn’t change them, but I’d go for the 500C if I ever ordered an Ultra Max. 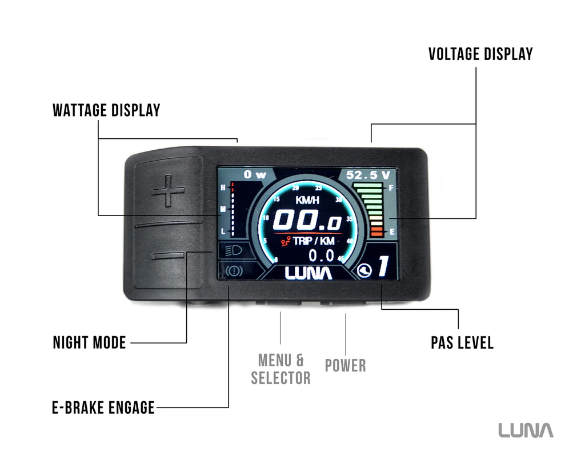 I’ll test it, the Luna site says that the Ultra Max will only work with the DPC-18. I’ll post here when I find out. Any idea if it works with the Ultra (G510) ? Or is it BBS01/02/HD only? Going to test it on Monday, will post update here. Yes it does, the article has been updated. Near as I can tell the Ultra Max works fine with the C961, C965, C963 & 500C. The display article has been updated. Thanks for asking. Thanks Karl! You’re the best! Yeah on the Bafang units it’s always 1919 but it doesn’t work on my display. I’m looking into it. I’ll update the article when I find out. Thanks for another great article Karl. If you like your small displays, you might want to check this out if you’ve not already. Wow, that looks totally awesome. Thanks for the tip. I just got the egg rider from em3ev. I like it for its small footprint on the handlebar. Haven’t tried it in bright summer sunlight yet, only in autumn morning sun. But it was still easy to see everything on the display. It shows the voltage – and that is a little too small. But everything else is clear. There is an app that you can download and connect it with your smartphone in order to configure the various modes (I have only tried the Iphone version). It is loosing connection and hangs – but the idea is good. An additional thing is that you have a button for off-road and road mode switching. Off-road mode lets you use the speeder without limitations. In road mode it stops at 20 km/h as is the legit limit for speed pedelecs using the speeder only, in Denmark. In the theoretical event that I will be stopped by the police, I can always activate road mode. I have just broken the plastic attaching the unit to your handlebars. I am not sure whether I overtightened it or it is weak.Still overall I like it better than my previous 750c display. Great, thanks for the mini review. I’m learning Danish and my wife is Danish so we go to Denmark usually once a year. Great country. Thank you Karl, you’re the best, you write inspiring articles. And you have a great country – even though I haven’t been there – yet. All the best. Thats great to see – I was looking for a way to unclutter my handlebar but Im stuck with wires for my brake sensors. Im using hydraulic Shimanos, so how can I hide the wires for the sensor? Just zip tie them to the handlebars or ziptie them all together in a bunch. I’m looking at this display on AliExpress, but they’re all listed as only supporting 48v. Is there an update to the firmware? How does on flash it? Is it the same cable used to programme the BBSHD? Thanks Karl for the much needed info! Just finished my first build and I really like the 500c from Luna Cycle. I put it on the left just like your picture and found it to be the perfect spot. As you said, barely noticeable. Most Bafang controllers use the same display. 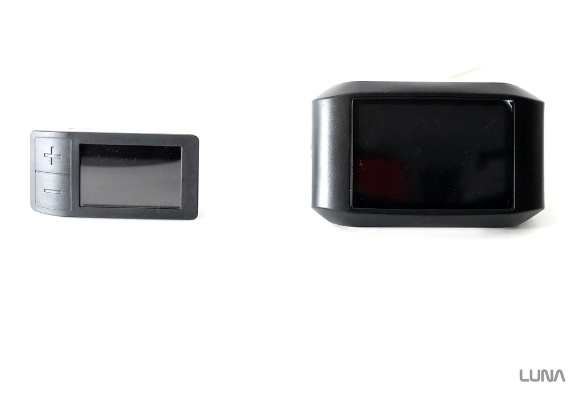 If the connector is similar then it’s very likely it will work. Buy it from someone that you can return it to if it doesn’t work (Amazon or Luna). Wow! 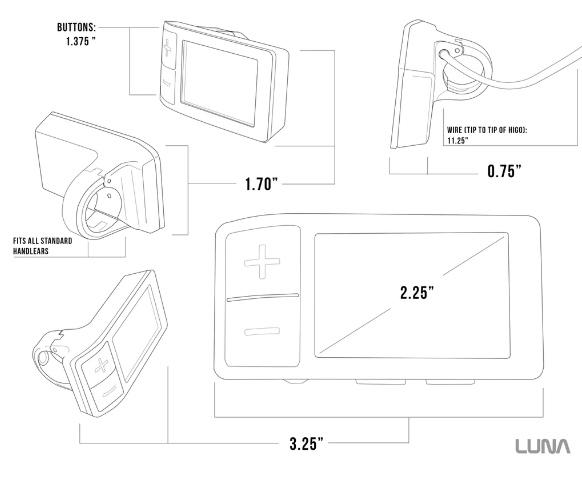 So this thing not only replaces the massive display but also the PAS level controller as well. Brilliant. What information can it display? I see a light-like sign in the picture. Can it be used as a bicycle light? Frame mounted batteries are probably more damning, as well as obvious motors. (The Bafang is at least semi-obvious, if someone looks down towards the bottom bracket.) Of course, riding like a maniac without pedaling, especially uphill, will always cause you to pop up on the radar. Anyway, based on your article, I went ahead and got a 500c from Luna.. Riding MTB trails of dubious permissibility, its better to have all the stealth you can get.